This subtly sweet cocktail won the 2016 People’s Choice 1st Place Award. 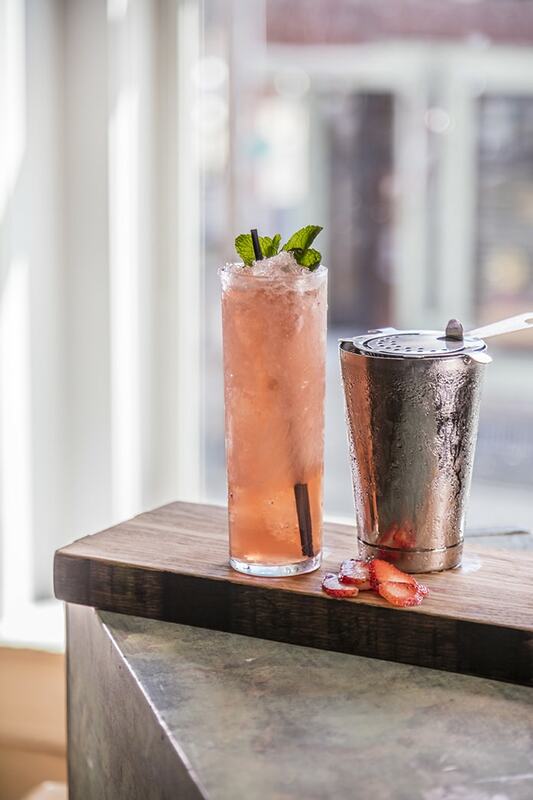 In a shaker tin, add strawberry rhubarb syrup and mint leaves. Muddle then add Bourbon, Limoncello, Elderflower. Shake then strain over crushed ice in a julep cup. Top with Napa Valley Strawberry Rhubarb Bitters. Garnish with mint sprig and Strawberry-Lemon Twist Rose Garnish.